ARLINGTON, VA, 6 February 2012 - The National Genealogical Society will celebrate the one hundredth anniversary of the National Genealogical Society Quarterly during the NGS 2012 Family History Conference in Cincinnati. A commemorative reception on 11 May 2012 from 5:30 until 7:00 p.m. will highlight the centennial anniversary of this premier genealogical journal. Emphasizing scholarship and genealogical problem solving in a clear, readable format, the NGS Quarterly sets the standard for genealogical excellence. The celebratory event will feature exhibits focusing on the history of the publication and influential individuals who have contributed to its success throughout the years. Admission to the event is $15. 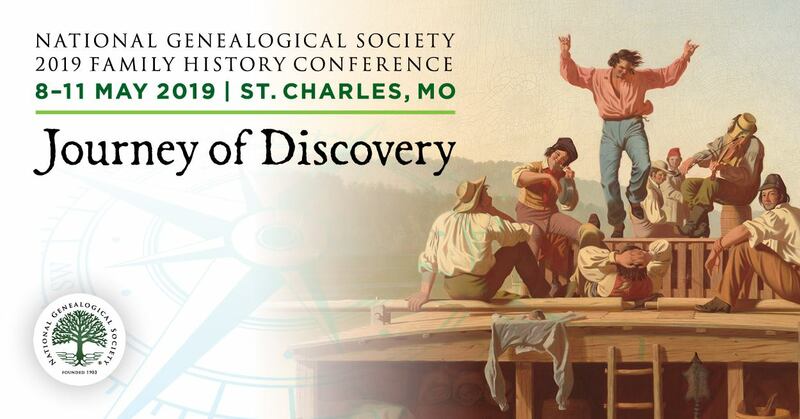 The NGS conference annually unites thousands of genealogists and family historians to share the latest genealogical information. Additional information concerning the NGS 2012 Family History Conference is available at http://www.ngsgenealogy.org/cs/conference_info.